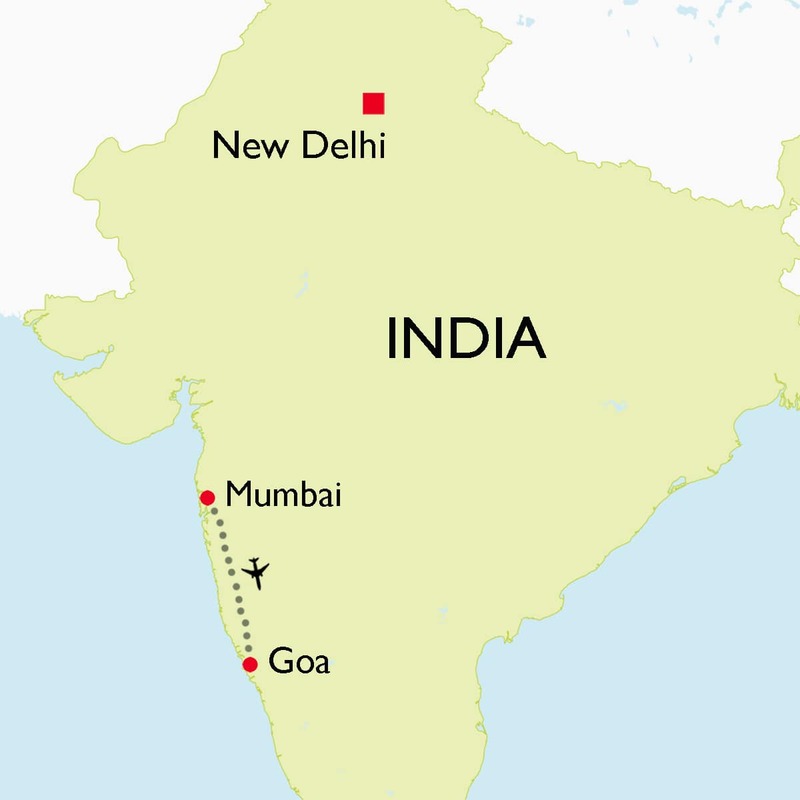 This Mumbai Goa Tour covers all the attractions of the two major cities of Indian West Coast. Mumbai, formerly known as Bombay this is a bustling and vibrant city, second only to Delhi in bustle but certainly more glamorous, with India's very own Bollywood, and with its excellent nightlife, restaurants, art galleries and designer shopping. Just a few hundred kilometers lies the “pearl of Orient”, the tiny emerald of Goa snuggled between Arabian Sea and Western Ghats. 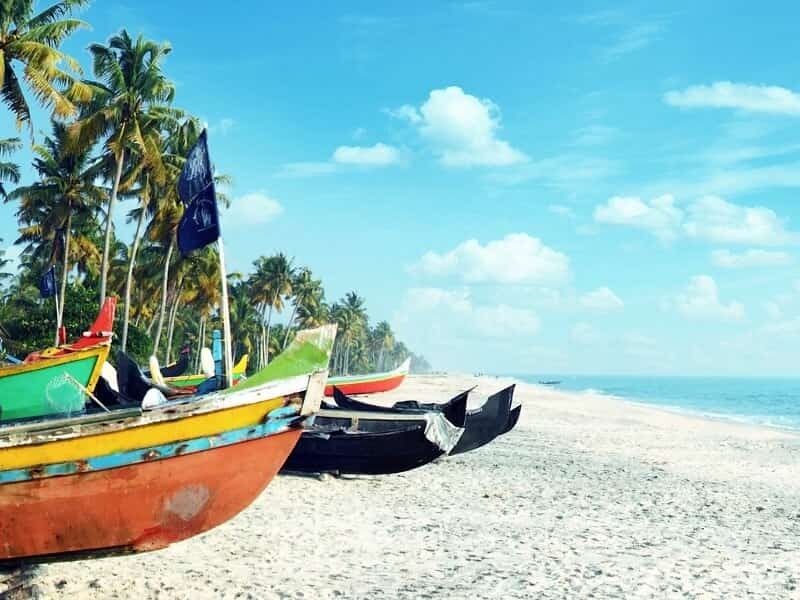 The magnificent scenic beauty beaches and the architectural splendours of its temples, churches and old houses have made Goa a firm favourite with travellers around the world. Arrive in MUMBAI, you will be met by our local Asia Senses Travel guide and escorted to the hotel for to check in. Mumbai - or Bombay, as it was formerly known - remains India’s city of dreams. Despite extreme poverty and eye-watering pollution, it is so dynamic that paupers still flock there in the hope of becoming successful entrepreneurs. Built largely by the British around one of the best-protected natural harbours in the world, Mumbai is India’s strategic economic centre. The city is also is home to the country’s prolific Bollywood film industry, which cranks out more feature flms than any place in the world and of course the setting for the hit flm ‘Slum Dog Millionaire’. Next, take in some of the key landmarks including the impressive World Heritage Site and historic railway station, Chhatrapati Shivaji Terminus – a striking combination of gothic and traditional Mughal architecture. No visit to Mumbai is complete without a visit to the bazaars of Kalbadevi and Bluleshwar, north of Crawford Market. Crawford Market is also worth a look. Enjoy a cruise to the Elephanta caves in the morning. The island of Elephanta is about 10 kms from Mumbai. 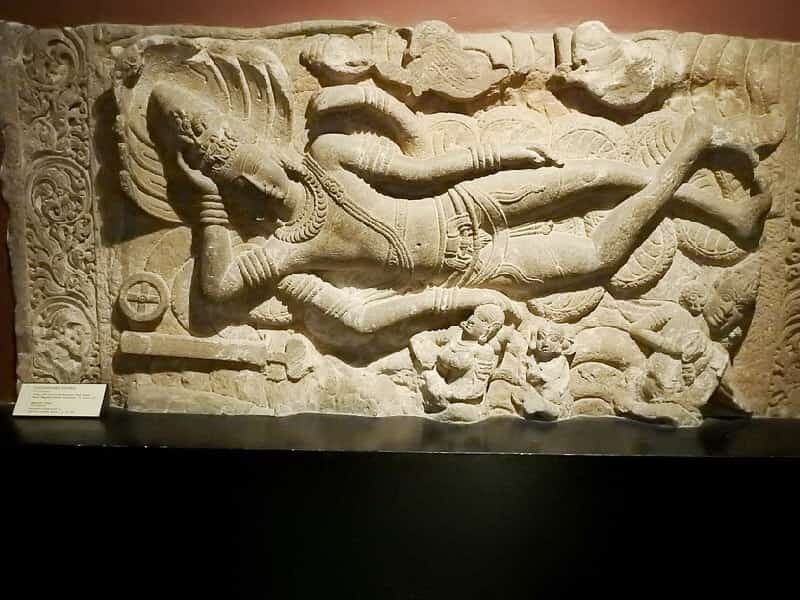 The 4 rock-cut temples are believed to have been cut between 450-750AD and are enshrining the destroyer force in trinity of Gods - Mahadeva/Shiva. After an hour’s boat trip to the island, walk the steps up the hillside to the caves. Shiva is the most depicted form. Before lunch at a local restaurant, pay a visit to the Afghani Church. In the afternoon, drive north to marvel at the remarkable Mahalaxmi Dhobi Ghat. At 140 years old it's Mumbai's oldest laundry and, with over a 1,000 troughs, it is also the world's largest open air, human-powered one. After that, visit the holy Banganga Temple and water tank. Towards the end of the day, hop on a leisurely horse and buggy ride along Chowpatty Beach, known as Marine Drive. Sample bhelpuri (Mumbai’s favourite snack). Then return to the hotel and free at own leisure. This morning, you will be picked up by our guide and driver and transferred to Mumbai Airport for your domestic flight to Goa, a tourism hub of India. Goa is called affectionately by various names such as “Rome of East” or “Pearl of the Orient” which aptly describes its perception in the eyes of an international tourist. It also has a unique mix of Indian and Portuguese cultures and architecture which is the main reason for international tourists to visit this charming city. 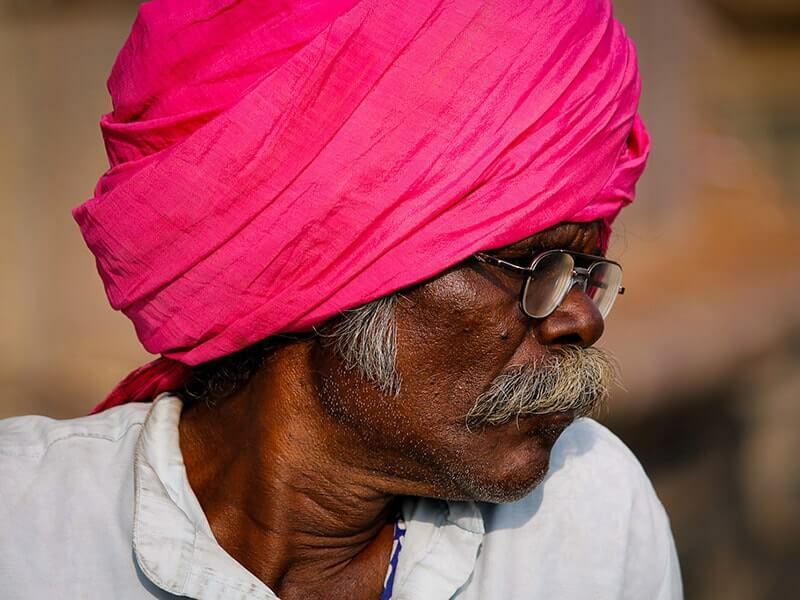 Upon arrival in GOA, you will be welcomed by our local tour guide and driver. They will then transfer you to the hotel for check in. The rest of day is free at leisure. 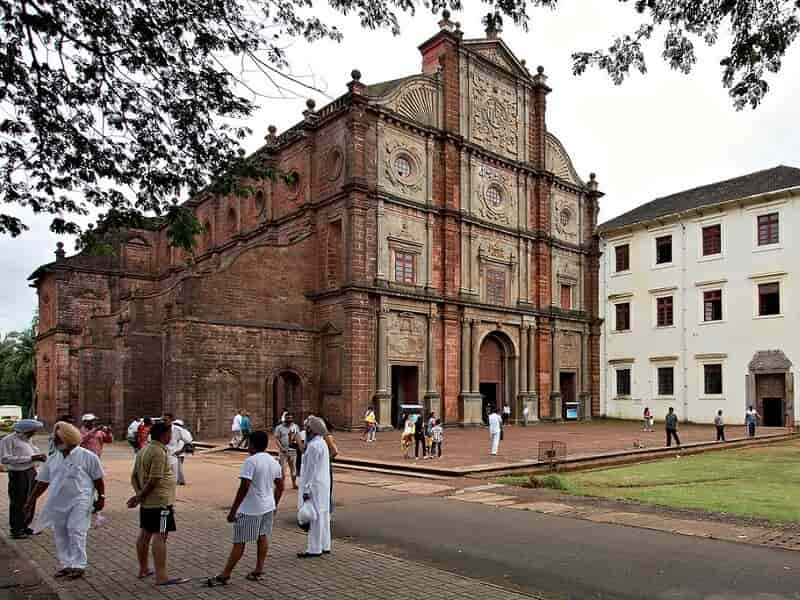 Have your breakfast and head south the visit the Old Goa churches and Fort Aguada. The Basilica of Bom Jesus, a UNESCO world heritage site houses the moral remains of St. Francis Xavier, a missionary who traveled across Asia to spread the knowledge until he died in 1552. St. Francis Xavier is regarded as the Patron Saint of Goa. Nearby, the Church of St. Francis of Assisi, beautifully decorated with scenes from Bible and consists of a statue of St. Francis, was built in 1521 by the Portuguese rulers and marks the brilliance of architecture. 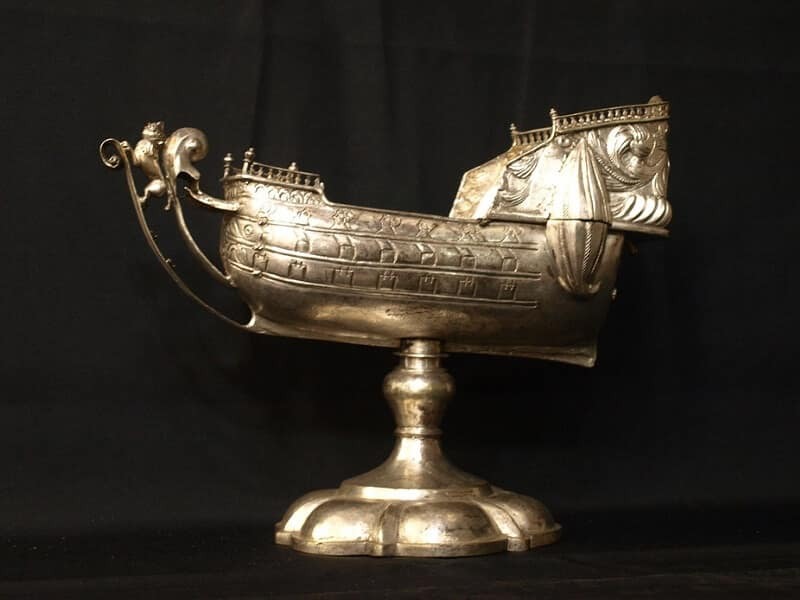 In the Museum of Christian Art, you can witness a collection of Rosaries and items made of gold and precious stones. Solar Souto Maior is a reflection of Goa’s rich heritage, dating back to 1585 but has been restored and renovated. Here, you can witness a treasure trove of artifacts. 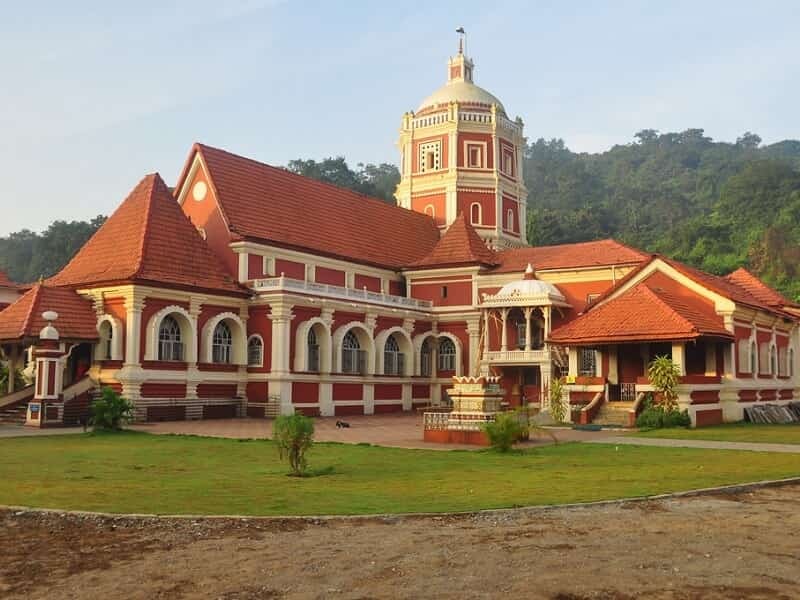 Next we visit Ribandar, the former capital of Goa before heading out to Fontainhas, the Latin Quarters of Panjim that have some well-preserved houses built in the Portuguese architectural style. You'll experience the culture of this UNESCO World Heritage area on a walking tour. After lunch, continue to Aguada Fort which was constructed in 1613 for the purpose of safeguarding from Marathas and Dutch. Even today the structure is well-preserved and overlooks a beautiful vista of sea and expanse of woods. End of the day, relax and swim at the Baga Beach which is filled with exuberance and youthful vibe. You may shop, relax or indulge in water-sports activities here. After breakfast, continue your Goa trip. The first stop of the day is Mangueshi Temple, a popular temple of Goa and also one of the largest in the state. It is dedicated to Bhagavan Manguesh, an incarnation of Hindu Lord Shiva. Then continue with a drive to the Sahakari spice plantation then visit a local spice farm that uses organic methods of cultivation. Enjoy a traditional Goan feast which will have influence from 400 years of Portuguese rule. After lunch, head out to Margao, the headquarters of South Goa district. It also happens to be commercial and industrial center. Margao’s colonial quarter Largo De lgreja is a historical church square, surrounded by old buildings that have their own charm. It is surrounded by old buildings from three sides and the Church of Holy Spirit on the other. 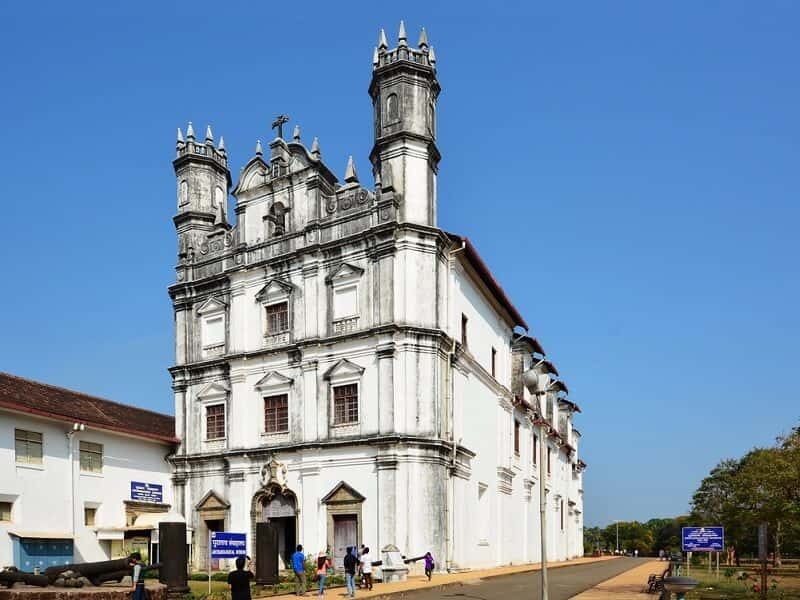 The church is one of Goa’s grandest churches datable to 1564, when it was built. Its architecture epitomizes Indian Baroque style of architecture, with interiors having regal feel throughout. 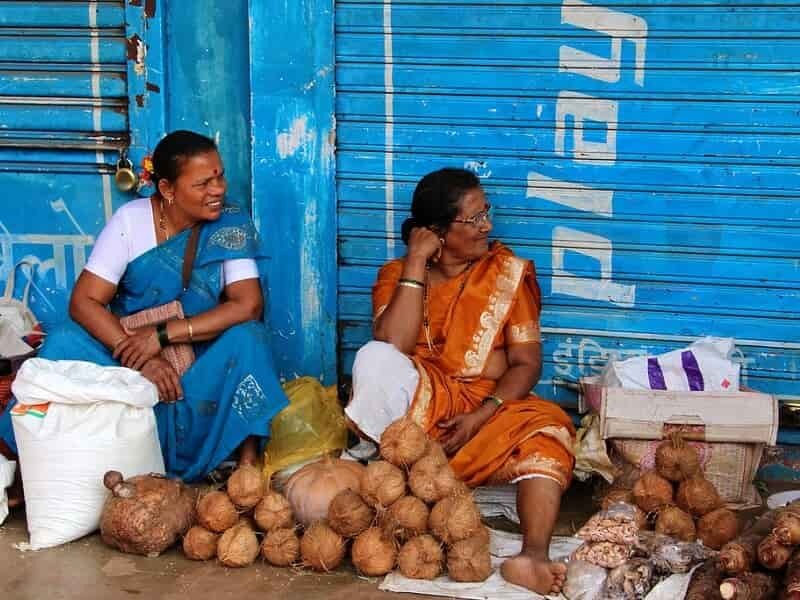 Learn more about the rural lifestyle of Goa, Ancestral Goa is a perfect place to be in. The laterite sculpture of Saint Mirabai is indeed the tallest laterite sculpture of India. 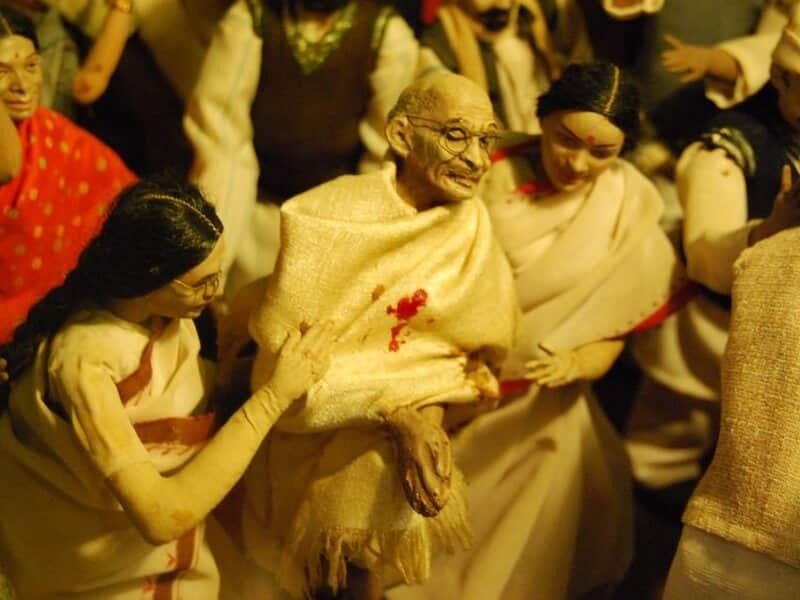 Ethnicity and history is exhibited through its art galleries, artifacts center and open air museum. In the late afternoon, free to enjoy beaches of Goa your own way. Miramar Beach is a soft, golden sand beach which is ideal for a stroll. Colva Beach is known as the Queen of all beaches. It is perfect for a soothing sun bath with its 40 km of endless white sand with numerous palm trees. 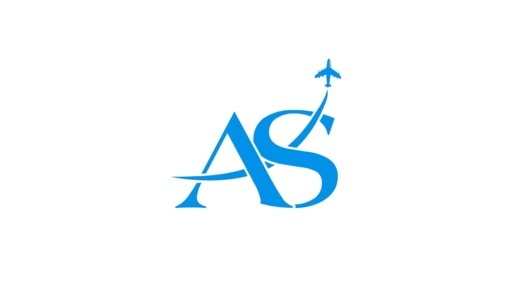 After your breakfast, check out from the hotel and a transfer to the airport is provided in order to catch the flight for your onward journey.